A cookbook club is a gathering of cookbook enthusiasts – the best kind of people! They exchange opinions on the book and share experiences from cooking the recipes. There’s a spread of pot-luck dishes, each contributed by the members, which makes hosting a cinch. Think of it as a dinner club and a book club combined into one. Usually one cookbook is the focus, and it is discussed in depth at each meet up. This allows for a pot-luck feast that is quite cohesive, since the recipes are all from the same book. The group could also focus on a specific author, such as Nigella Lawson, and cook anything from her collection of works. It depends on how you wish to structure the cookbook club. 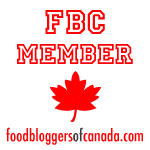 Why Start a Cookbook Club? A cookbook club is a wonderful excuse to get together with fellow cookbook and food lovers. In our small group we have cookbook authors, an editor, book reviewer, cookbook photographers, podcasters, food stylists, former chefs and serious home cooks. Our careers intersect with the cookbook world in wildly different ways which makes for lively conversation. It’s also a chance to slow down, meet around a table and share stories of connecting (or not) with the author. It provides the opportunity to see the book through different eyes, and experience a unique perspective. And then there is the feast. 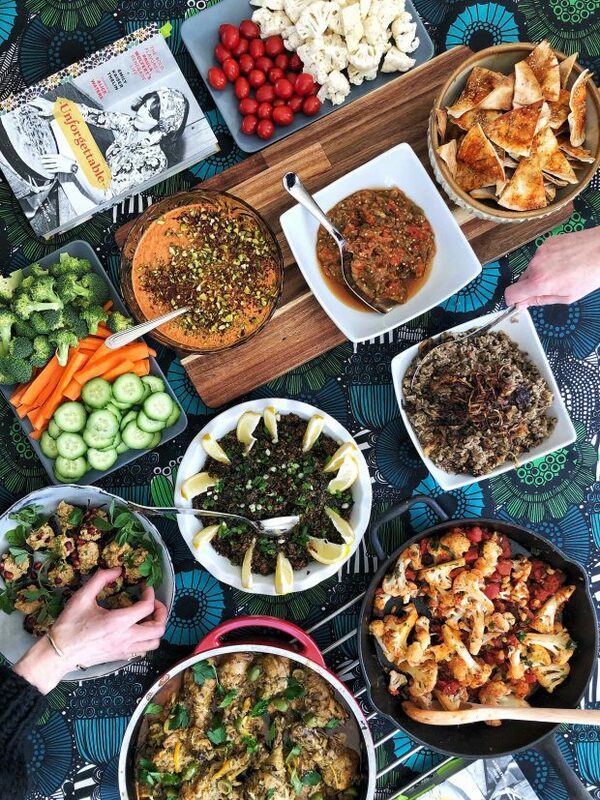 One cook would have to slave for hours in the kitchen to turn out ten or more recipes from a specific cookbook, but when a group of club members share their cooking efforts together, the results are spectacular. Invite a core group of cookbook enthusiasts to the club and encourage them to invite 1-2 people each. This will round out the numbers and ensure everyone has a friend. Aim for a group of 12-16 people, which may seem like a lot, but realistically only about half will be able to make each meet-up. 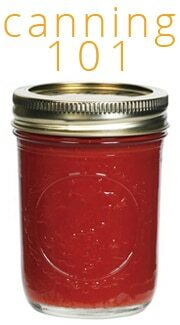 6-8 people is a great number for a pot-luck, ensuring an array of dishes, without burdening the host. We use a Facebook group to chit chat, swap info and make decisions. First up? Decide on how often you’ll want to meet. We’re starting with every 6-8 weeks, as every month felt like too much of a commitment. Eight weeks also feels like a good time to sit with a cookbook, get a feel for the author’s voice and test a number of recipes. Toss out a few titles to the group and pick one to get you started. Subsequently, pick the next book at each meet up. Pick your first date and get cooking! 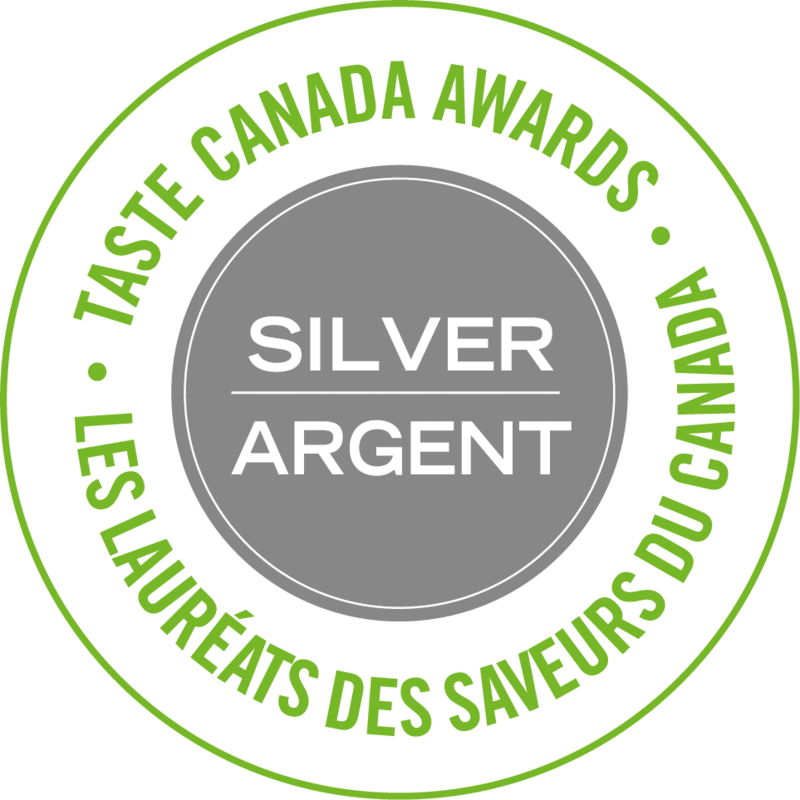 Our group is rotating hosting duties, meaning that we’ll meet in and around Halifax, moving from kitchen to kitchen. We may gravitate to the beach in the height of summer – who knows. 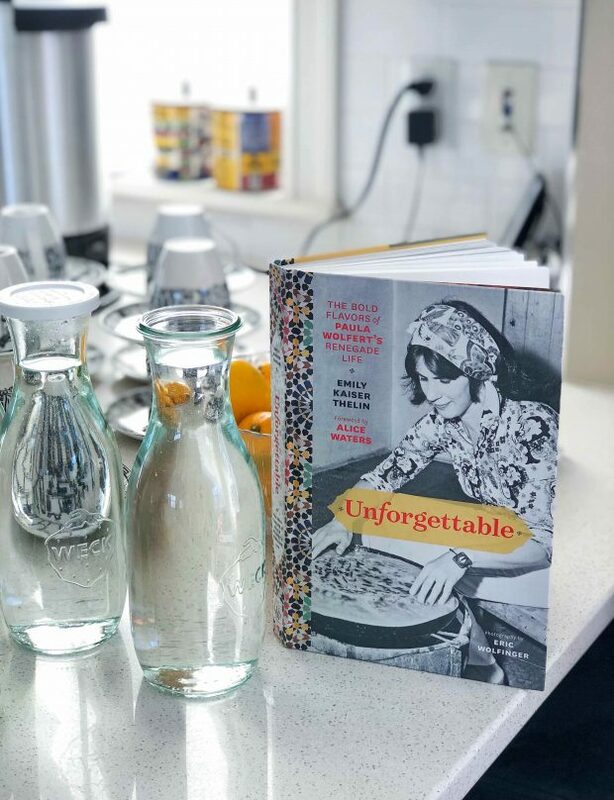 We kicked things off with Unforgettable: The Bold Flavors of Paula Wolfert’s Renegade Life, a biographical cookbook that I highly recommend. 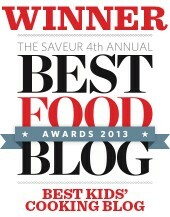 We loved the stories, were most impressed with Paula and fell in love with the recipes. After a long winter, we’ll usher in spring with the beautiful Six Seasons: A New Way with Vegetables. I’m already captivated by what I’ve read and tested so far. And for the height of summer, we’re getting inspired for a road trip with the ladies from Feast: Recipes and Stories from a Canadian Road Trip. 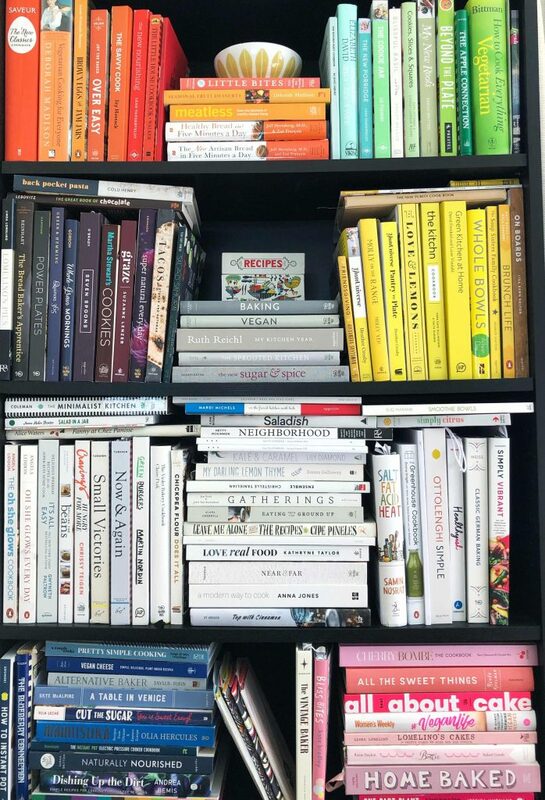 A few of us own these cookbook titles, others track them down from the library and a few choose to buy them for their collection. The library is definitely the way to go if you are unfamiliar with the author and their work at first. The if you fall in love with the cookbook, you can always add it to your collection later. 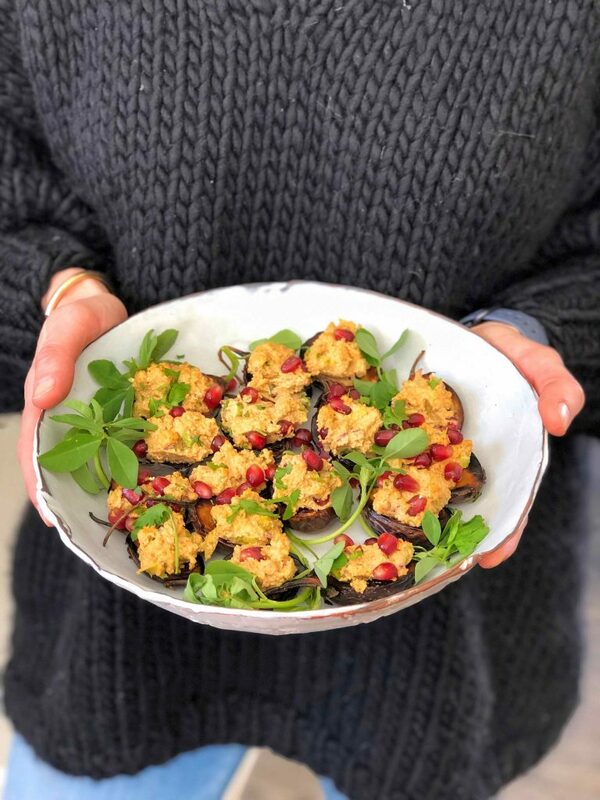 One last thing….should you decide to start a cookbook club and feature either of my books, drop me a note at aimee @ simplebites (dot) net or tag me on the socials! That would be so fun. Happy Cooking and Happy Reading. Would you join a cookbook club? That’s awesome, Heather. Any advice for the rest of us? 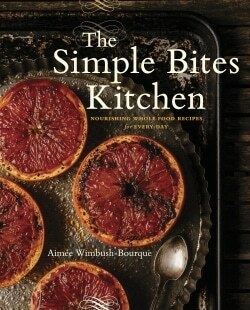 I eagerly read your post, Aimee, as I’ve been thinking about a cookbook club for some time now. Maybe it’s time to put these thoughts into action! Marlene, I think so! It’s such fun. I’ve been wanting to start a cookbook club for years now. I’ve gotten kind of close a few times but for some reason or another it always fizzled out. I’m gearing up to give it another go, so fingers crossed! Jess, I lucked out on timing. I say if you want it bad enough, go for it! Yes!! I’ve been running a cookbook club out of the grocery story where I work for a few years, and we have 20-25 people come every month. I can attest to the fact that it’s a great way to get together, and we’ve also gotten to know so many amazing books. Alana, any tips for us amateurs?! Share your wisdom, please. What a fun idea Aimee! I don’t really have the social circle right now to pull this off but it might be fun to do a mini-version on the family level. We could pick a cookbook, either from my collection or the library, and then plan a meal. It would be a great way to try new recipes and flavors. Julie that seems like a great idea! Let me know how it goes. I’ve been in a cookbook club for about 3 years now! We are not very rigid about it – we have a facebook group and post polls to find a good date that works for the most people. We tend to meet roughly every 2 months-ish. We try to use books that aren’t hot off the presses, but are still pretty current/interesting. – Extra Virgin, by Debi Mazar and Gabriele Corcos. We’ve also gone off-format by having people bring recipes from various food blogs, or food from countries south of the equator, and once we went out to dinner instead of cooking. The last two Decembers we’ve used Hors d’Oeuvres by Victoria Blashford-Snell and Eric Treuille. It’s super fun! The organizer just threw out an email to assess interest and set up the group – it’s been pretty hands-off for maintenance since. This is so fun! A group of friends do a supper club together once a month, and we have the spouses join us. We’ve just decided to change from themed meals to hosts doing 1 meal and rotating houses (as opposed to pot luck style around that theme)…I think I might suggest this as an option for us in the future. Sounds like fun! 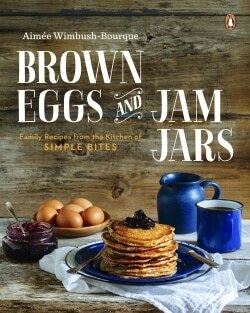 Wondering, Aimée, have you heard of “Eat Your Books”? 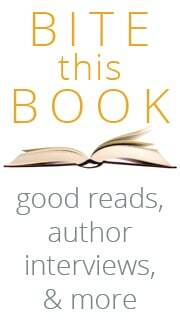 It may be a great resource for book club lovers. I came across this thread because of Barbara mentioning EYB (thanks Barbara!). An EYB membership for a cookbook club allows the members to share notes on their experiences cooking recipes from each book. You can have a free membership and just add notes for 5 books (the limit for a free membership). Remove the oldest book as a new one gets added. This way the group gets to share what they are cooking between meet-ups. Or if you want to keep a record of all books and recipes cooked by the group, an annual membership is US$30 (not much when split between a group). I belong to a cookbook club run by my local library. It has been going about 3 years and is a lot of fun. We meet once a month at the library and everyone brings a dish from the book. Someone coordinates what everyone is bringing to avoid duplicates. We do talk about the book but also about cooking, gardening, family, etc. We have had a few local authors come along when we cooked from their books (Ana Sortun, Maria Speck, Cathy Walthers). I’ve been part of a cooking club for a few years. It started out as a way to help us get thru the long winter months when one of our friends was battling depression. There are only 4 of us, and we might pick a theme-Mexican, Italian etc or just do random food. The only rule is that you have to pick a new recipe that you have never tried before. We take turns hosting and it seems to work out well every time.